Home POLITICS Muhoozi: Kitatta Was a big Threat To The Country’s Security. Muhoozi: Kitatta Was a big Threat To The Country’s Security. Yesterday the chief of defence forces General David Muhoozi came out on the arrest of Bodaboda 2010 Chairman Abdallah Kitatta and his members and said that Kitatta had become a big security threat to the country. The army commander who was speaking for the first time since the arrest of Kitatta (who was found with guns, bullets, pistols and other dangerous weapons at his office in Makindye), told the press that military intervened to help the police to arrest high ranked criminals but not affect the operations of the police. He said that the military taking over arrests will not be an everyday thing. “We shall only intervene when need arises. ” says Muhoozi. He further noted that there was information that there was an attempt to obstruct information by some officials and they decided to respond through intervention. These were all communicated during Tarehe sita week which was organized and launched in Mbuya later followed by donation of blood, medical checkups, building of small houses for the needy among other activities. The celebrations will end on 6th February 2018. 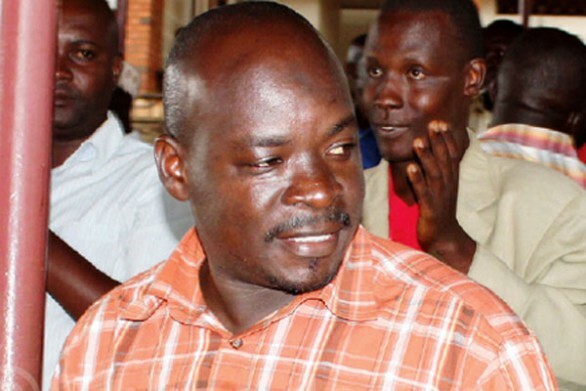 It should be remembered that Kitatta and his fellow members at Bodaboda 2010 were arrested over allegations that they murdered and burnt a one Ekalungar Francis a professional accountant at Case Clinic. Out of the 40 that were arrested this month, 18 were released and others remanded at Kigo prison until February 9 when they will be charged by CMI. Previous articleWhat Kitatta’s Arrest Means to Hundreds of Crime Preventers? Next articleFamous Buyende Police Officer Muhammad Kirumira Resigns As DPC.